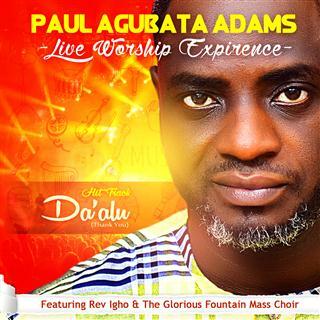 This is a new worship song out of the new album of one of Nigeria’s renowned minister of the Gospel Paul Agubata Adams. This song “Daalu” is one of the hit song from his newly released album which is a live worship recording featuring Rev Igho and the Glorious Fountain Choir, and it’s already blessing lives in churches across the nation. This was recorded live at the city of refuge featuring the very choir that featured in Nathaniel Bassey‘s “Onishe Iyanu”. We present the acoustic version of the same song and the link to the acoustic version video. The full live worship video will come out later, but you can get the full audio album on the minstrel app under the name Paul Agubata and all the record stores nationwide.